Some people are incredibly gifted at finding great holiday destinations at knock down prices. My own sister is so good at it that we've nicknamed her Stone Travel (she married Mr. Stone), I, on the other hand am less than useless. Case in point the last fortnight spent scouring websites, catalogues, travel agency windows and cross referencing the lot with wildly varying reviews before giving up on the hope of new horizons and settling for somewhere we'd been before. 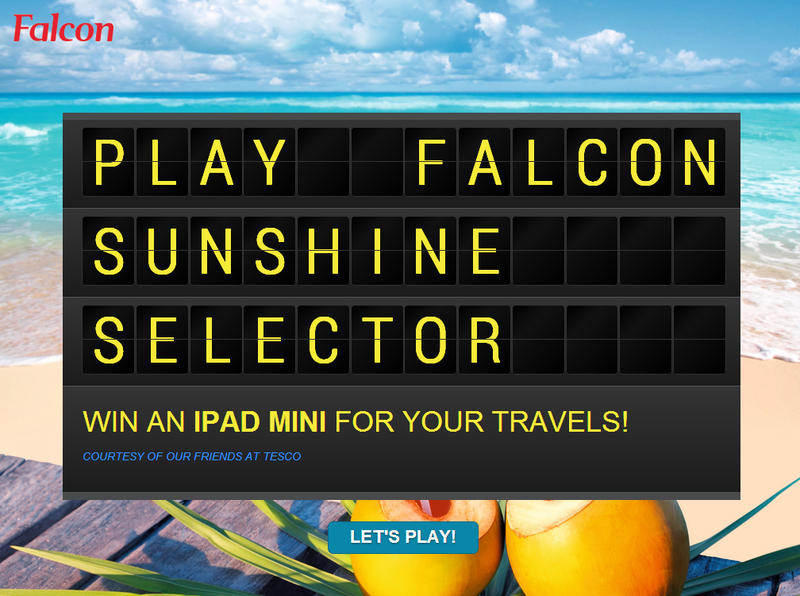 I've teamed up with Falcon Holidays to make life easier for you though and share the news of the Falcon Sunshine Selector. It's a fun, interactive game that has been added to their website and aims to find you your perfect destination in just 7 simple questions. Not only will this fun little quiz point you in the right direction, literally but Falcon are also giving two very lucky participants an iPad Mini to take with them on their travels, simply for playing. You can play directly on Falcon's site or click here now but be quick about it as the competition ends this Friday. *This post is in collaboration with Falcon Holidays.